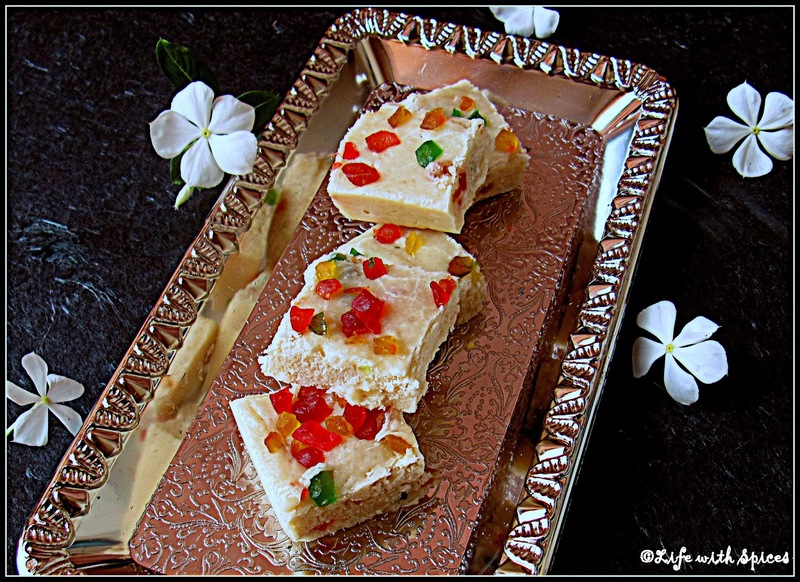 Another quick Diwali sweet which can be made in a jiffy. Made this one for my niece so added tutti frutti to it instead of nuts. Without any second thot made this sweet immediately once Priya jee posted it. In a pan heat half of the ghee and fry maida until nice aroma comes and set aside. In another pan make one string sugar syrup with water to tis add saffron strands. Add sugar syrup to the roasted maida mixture add remaining ghee, mix well no lumps should be there add tutti frutti and cook till the mixture gets off from the vessel. Pour in a greased plate level it and sprinkle some more tutti frutti on top cool it and and slice it. 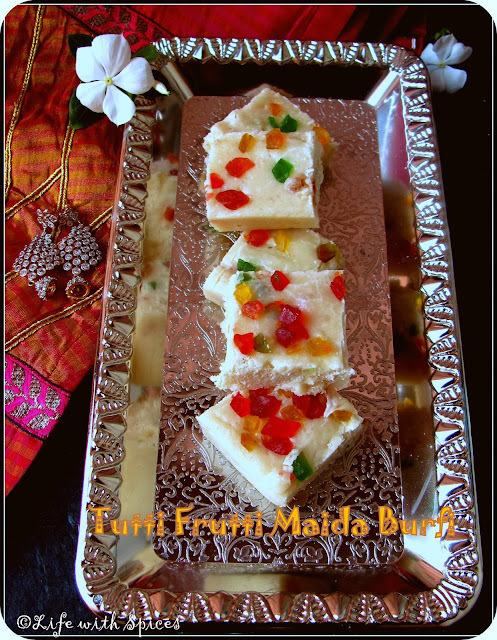 Very attractive maida burfi, love her the addition of tutti frutti..You have done prefectly..
Looks very yummy . Adding tuitty fruity is new and this is going to be kids favourite. So colorful, have all the ingredients, will try this soon..